ONE PSYCHIATRY PROFESSOR calls it “the conversation we’re stuck with,” a teachable moment growing out of horror. Each time mental illness is cited as a possible factor in a high-profile mass killing in the United States, there’s a collective sigh among mental health professionals there. Even as they see an opportunity for serious discussions of problems and remedies, they also worry about setbacks to their efforts to destigmatise mental illness. “Most people who suffer from mental illness are not violent, and most violent acts are committed by people who are not mentally ill,” said Dr Renee Binder, president of the American Psychiatric Association. If, hypothetically, everyone with mental illness were locked up, “you might think you were safe, but you are not,” Binder said. According to the National Institute of Mental Health’s latest estimate, from 2012, there were an estimated 9.6 million adults in the US — 4.1% of the total adult population — experiencing serious mental illness over the previous year. “If you look at that large pool of people, only a tiny proportion of them will eventually commit violence,” Binder said. How are you going to identify them? It’s like a needle in a haystack. Yet public perceptions can be hard to shake. Of the mass shootings of the past 10 years that are most ingrained in America’s psyche, the mental health problems of the perpetrator became a central part of the narrative in several cases — notably the rampages at Virginia Tech in 2007; at Sandy Hook Elementary School in Newtown, Connecticut; at an Aurora, Colorado, movie theatre in 2012; and near the University of California, Santa Barbara, in 2014. 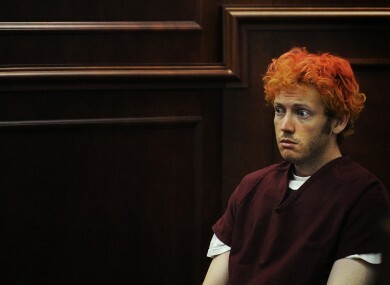 Just this month, a jury convicted James Holmes of 12 murders in Aurora, after a wrenching trial that delved deeply into his mental problems. In two rampages recently, the perpetrators also have been described as mentally troubled. After the killing of four Marines and a Navy sailor in Chattanooga, the family of slain assailant Muhammad Abdulazeez said he had been in and out of treatment for depression starting as an adolescent. John Russell Houser, who killed two people and wounded nine before killing himself at a Louisiana movie theater last week, had a history of mental health issues, according to his family. 40% of people with serious mental illness are going without treatment — our systems are fragmented and overburdened. When do we pay attention to this? We pay attention when there’s a horrifying mass casualty shooting, and then people say: Let’s fix the system. That puts mental health professionals in a bind, Swanson said. “We’re trying to debunk the stigma that people in the mental health system are dangerous, and yet refocus attention to how do we improve the system,” he said. That’s the conversation we’re stuck with and we need to use it to educate the public that the vast majority of people with mental illness are not violent. Swanson and many of his colleagues, while committed to combating stigma, acknowledge that some people with serious mental illness are more likely to commit violence than people who are not mentally ill.
Swanson has been working with other researchers and mental health professionals on steps that could be taken to reduce access to firearms by people who pose a high risk of violence — whether or not those people have mental illness. By broadening firearms bans to include people who’ve been convicted of violent misdemeanours or domestic violence, Swanson believes public safety could be enhanced while avoiding further stigmatisation of mental illness. Another topic of concern pertains to sharing of information. After some of the recent mass killings, there were accounts of mental health professionals becoming aware that the eventual perpetrator might pose a threat, and questions about whether such information could be shared more effectively. Renee Binder said some universities, aware of what happened at Virginia Tech in this regard, have formed threat management teams to evaluate possible risks posed by students and employees, and, if necessary, take appropriate steps to prevent violence. She said the teams generally include lawyers, law enforcement officials and mental health professionals; their options include putting a potentially violent individual under close observation and arranging protection for potential targets. As for individual psychiatrists, accepted protocol obliges them to take action if they believe patients pose an imminent threat of harm to themselves or others. If the level of threat is difficult to evaluate, a psychiatrist should consult with a colleague in a way that does not violate patient privacy, Binder said. Binder says early intervention can be crucial in enabling a person to get proper mental health treatment before problems get out of control. To this end, the American Psychiatric Association has presented a program called Typical or Troubled in more than 2,000 schools nationwide. It aims to train teachers to notice early warning signs and, if warranted, make referrals. Paul Gionfriddo, CEO of the advocacy group Mental Health America, says school officials and other adults should think carefully about how to respond when young people do exhibit behavioral problems. In states where mental illness was clearly a factor in high-profile violence, steps have been taken to improve mental health programs, but not always as aggressively as advocates and victims’ families had hoped. In Connecticut, after disturbed gunman Adam Lanza shot 20 children and six educators in Newtown, some new mental health services for high-risk populations were implemented, as well as an anti-stigma campaign meant to encourage people to seek treatment. There was some debate this spring over funding levels, but Governor Dannel P. Malloy’s administration contends that Connecticut has one of the best-funded public mental health systems in the country. Colorado responded to the Aurora rampage with a $20 million expansion of mental health services, including a 24-hour hotline and a dozen new drop-in crisis centres. According to Rocky Mountain Crisis Partners, which runs the hotline service for the state, it has received more than 53,000 calls since December 1, 2014. In Virginia, debate about mental health has been affected by two high-profile incidents. Seung-Hui Cho, the gunman who massacred 32 people at Virginia Tech, had been ordered into outpatient treatment prior to his 2007 rampage. In 2013, Gus Deeds, the son of state Senator Creigh Deeds, stabbed his father and then killed himself hours after he was released from emergency custody because mental health officials couldn’t find an available psychiatric bed. Since then, a panel has been formed to study Virginia’s mental health system, and emergency mental health services have been bolstered. But Deeds and his allies are frustrated that Republican legislators have blocked the state from expanding Medicaid, a step which would enable large numbers of low-income people to obtain mental health care. “We know there are tens of thousands of people who are walking time bombs — probably more dangerous to themselves than anyone,” Deeds said. I want to make sure that anyone who needs care receives it. Email “US psychiatrists worry shootings will set back efforts to destigmatise mental illness.”. Feedback on “US psychiatrists worry shootings will set back efforts to destigmatise mental illness.”.